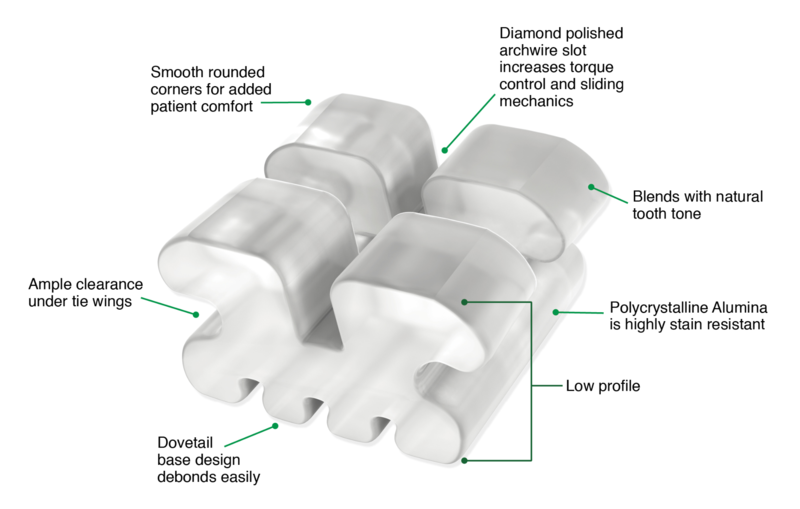 Dovetail base design has an interlocking adhesive tooth interface for maximum bond strength, yet debonds easily when needed. 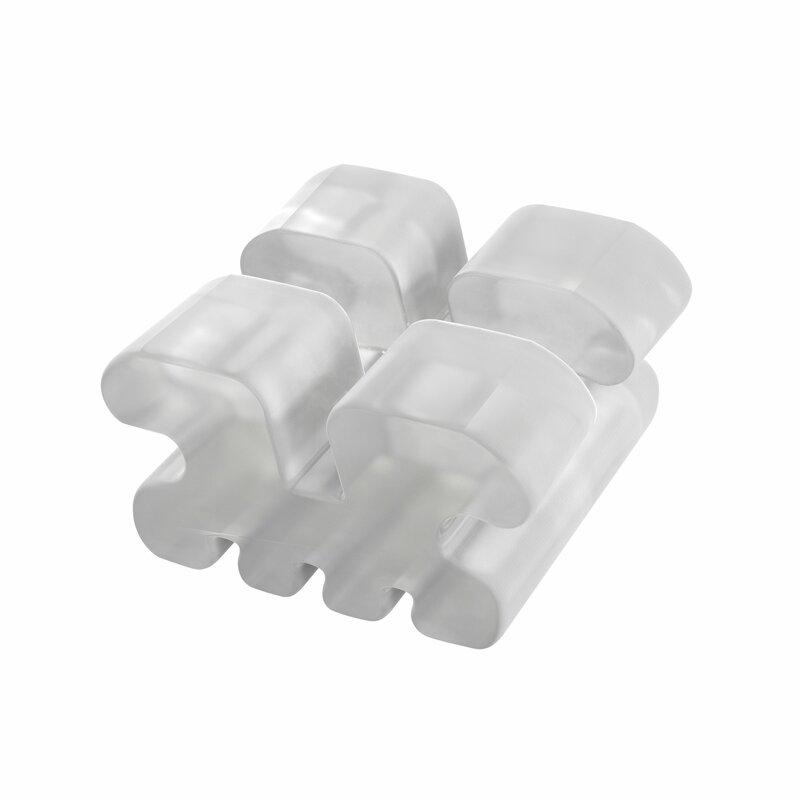 Bracket design and ceramic material are engineered for exceptional bond strength and fracture resistance. Precision cut, diamond polished slots increase torque control and sliding mechanics. Made from 99.9% pure Polycrystalline Alumina ensures the translucency patients want. Utilized in patients where aesthetics and cosmetic needs, as well as financial requirements are a concern. Provides an invisible, stain resistant appearance throughout the treatment. Shop for individual BioTru® Ceramic brackets and build your own prescription.